Did you know that PEOs represent 175,000 businesses across the nation? According to NAPEO’s latest report, 15% of all businesses with fewer than 100 employers use a PEO, and PEOs employ 3.7 million worksite employees for their clients. Giving you access to lower insurance rates. Eliminating the need for an HR staff on your payroll. Helping you avoid fines and fees for non-compliance. Making sure your taxes are paid on time to avoid late fees. It’s important, however, to understand just how PEOs calculate their fees and how they determine the insurance rates available to you. In this post, we’ll answer 5 common questions about PEO costs and fee calculations. How do PEOs structure their rates? FICA and FUTA rates are standard rates that will remain the same no matter which PEO you use. SUTA rates may vary based on the state in which the PEO operates. Workers compensation and administration fees will vary among PEOs and may include things like co-pays, deductibles, incentives, and value-added service fees. Always ask for an unbundled quote when you compare PEO rates so that you can see every fee and determine how it is assessed. Will I be charged a flat monthly rate? Some PEOs charge a flat monthly rate for administrative fees while others charge a percentage of payroll. The type of rate that works best for you will depend on how you pay your employees. For example, percentage of payroll may be more cost effective if your payroll remains stable from month to month, but flat rates may be better if you pay a lot of bonuses or commission. What administrative fees are included in the PEO cost? Administrative fees may not always be immediately visible in the quote, so it’s important to read all the fine print before signing. Be sure you know which services are included in the up-front cost and which ones will be considered value-add fees resulting in additional charges. Administrative fees may include HR services, EPLI, training and recruiting costs, and support services like organizational assessments and business intelligence. Some PEOs will include these services in the administrative fee, some will offer them for an additional charge, and some may not offer them at all. Will the PEO always give me a better rate than I could get independently? Not necessarily. Lower insurance rates are a big draw for small businesses, but be aware that there are some instances when you can get better rates on your own. For example, a PEO’s workers compensation rate may increase due to number of claims or their SUTA rate may be higher due to turnover rates and unemployment claims. Always compare the PEO's rates with what you can get independently to determine whether you’re saving money. Will PEOs negotiate on their fees? Many will, especially if you can get a better SUTA or workers compensation rate on your own. Some will also allow you to carve out the workers compensation fee if you can get a better rate and charge you only for the other services you use. As you're comparing the cost of a PEO with the benefit you'll gain, don't overlook the less obvious ways you'll boost your return on investment. PEOs save you money by reducing costs in some areas, but another big way you'll save is by recapturing the time you used to spend on HR and investing those hours in your business. Do you have more questions about PEO pricing? 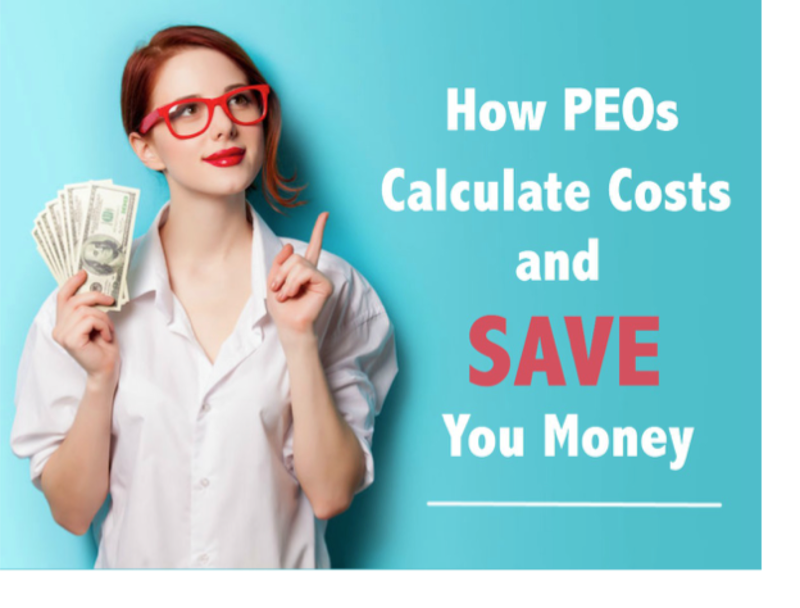 Check out our Insider's Guide to PEO Costs for a detailed analysis!